Look at Sonic, for instance. 4 and Colors are being worked on at the same time. Origins is a nice little thing to hold the PS3/360-owning fans over for a while, but a real sequel is needed. Maybe Origins will be successful and they will start whoring out the Rayman series like crazy. That would be fantastic. Luckster wrote: LOL they stole Sebastian's title!! Luckster wrote: Opinions on the return of our beloved hero? Looks like a reboot of the series, a cross between The Legend of Spyro and Sonic the Hedgehog 4. Luckster wrote: Predictions of gameplay? 2D 2-player co-op, from the looks of it. Luckster wrote: Will you buy it? Luckster wrote: WTF? Where's Houdini? You mean the Magician? Well, they seem to have forgotten every other character minus Globox, so it wouldn't surprise me if they forgot him as well. Luckster wrote: Opinions on the style? Kinda reminds me of Wario Land: Shake It. I kind of like it tbh. RayFan9876 wrote: Saber, I think you went a little too far with that. It's not like the worst thing in the world. Yeah, I know I was pretty harsh on it a few hours ago, but that's because my expectations were so high, between the Choukroun thing and the announcement of a new game at E3, only to get an incomplete downloadable title. But whatever, if the game is that good maybe I'll buy an iPad. Ehhh I woulda been happier with a physical release rather than a download. I'm one of those people who enjoy the games case more than the game itself. Sohzi wrote: I'm one of those people who enjoy the games case more than the game itself. I'm picky about that too. I won't even play a game unless I have the box for it (unless it's DLC, of course). I certainly don't care about it moreso than the actual game inside, but it's been a tick of mine for a while. And is it me, or is this topic pointless? We've got a whole discussion going in the E3 topic. We don't need a new sequel. It's something we want. But Luckster is right, at least it's a rayman game for once, and a platformer. And be honest, didn't we always want to know about Rayman's origin? Even though so far it just looks like some random ginger fairy poofed him up. Though that may change. Spanex wrote: And be honest, didn't we always want to know about Rayman's origin? This isn't the same Rayman though, it's an alternate timeline. The real Rayman wasn't born with his powers, he didn't meet Globox (if that even is Globox; wouldn't surprise me if they gave him a new name) until after R1, and he definitely wasn't created with his R3 appearance. Well, at least Rayman has been revived. It was not what I was expecting, but maybe that's a good thing. 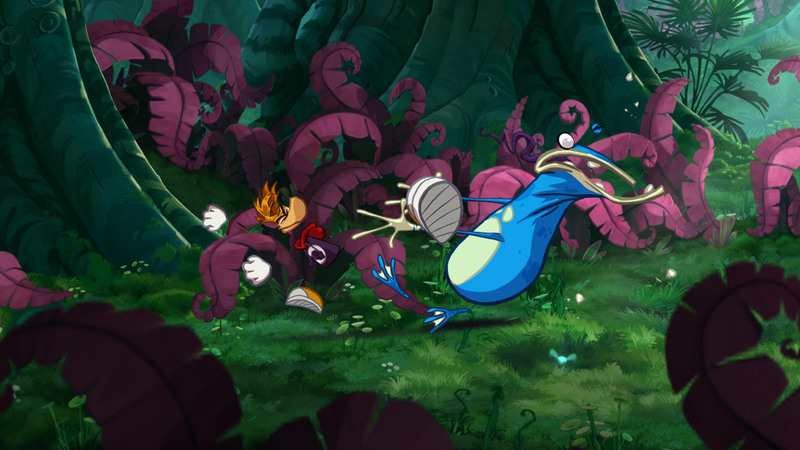 Artstyle looks good, but Rayman himself looks like an idiot. I hope that will change in later episodes. Could it be a possibility that they will change the artstyle between episodes to show the character development? I think the conversation will eventually move on to this topic. Sohzi wrote: Ehhh I woulda been happier with a physical release rather than a download. I'm one of those people who enjoy the games case more than the game itself. I'm one of those people too :] I'm keeping my fingers crossed for a retail release with all the episodes. I like the atmosphere and art of the levels as they look now, but the character art style looks out of place. They look like what's today's animation for most tv shows. Something I like to call "Flash" animation, because that's exactly what it looks like! And I've always disliked "Flash animation" on TV. It looks lazy. ^I agree with these two. That has been, so far, my biggest bother. Anybody else realize that Rayman pretty much upskirts his MOM in the trailer? Michel Ancel, I love you. This is BETTER than anything I hoped for. So much better than Rayman 3 as well, because this actually has Rayman's magic. I wonder where Rayman's fist throwing is though, has it been changed into slapping now? Yeah, the URL is appropriate! You, know, at least the ginger LOOKS like Betilla. Maybe it is her? Also, maybe he's only slapping because he hasn't discovered his true powers yet? So now Rayman has a pimp hand?